LG make some of the best TVs money can buy and customers are flocking to buy them. 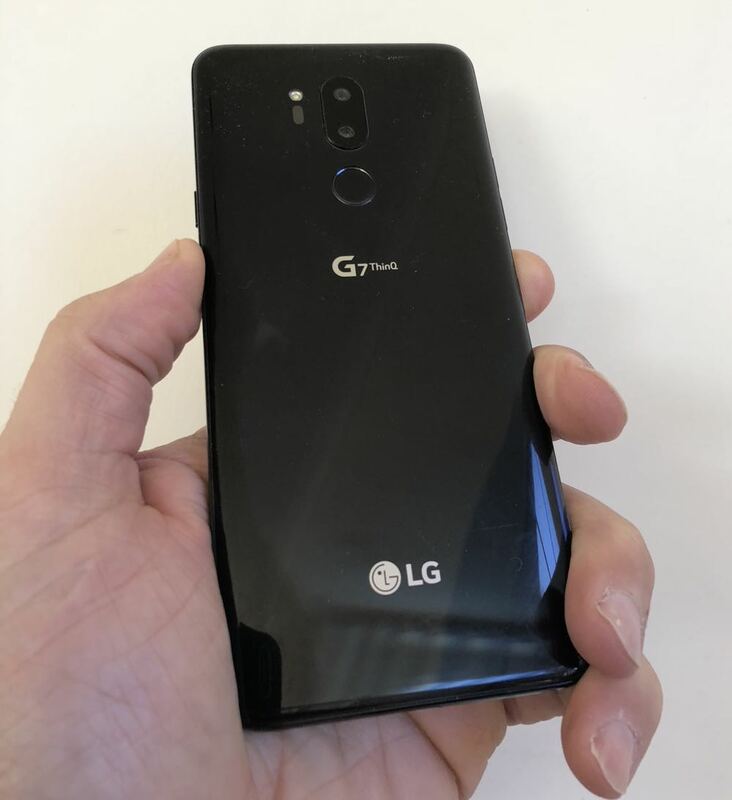 LG also makes excellent smartphones – including its latest G7 ThinQ – yet have a very small market share. More than 70 per cent of Australian smartphone users are spread across two brands – Samsung and Apple. 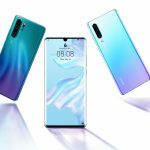 The remainder – less than 30 per cent – is split between the other brands like LG, Huawei, HTC, Oppo, Nokia Alcatel, Sony, BlackBerry, Google and Motorola. Samsung, like LG, also make TVs and other smart appliances and are the global market leader in smartphones. 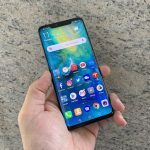 LG has made another excellent smartphone with the G7 ThinQ – one of the best premium Android devices in our opinion. But there’s a chance that people reading this review have never heard of it or, worse still, probably didn’t realise the company that makes those incredible OLED TVs even made smartphones. 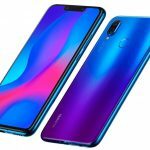 We’re here to tell you they do and, like its incredible TVs, its smartphones are top notch as well. 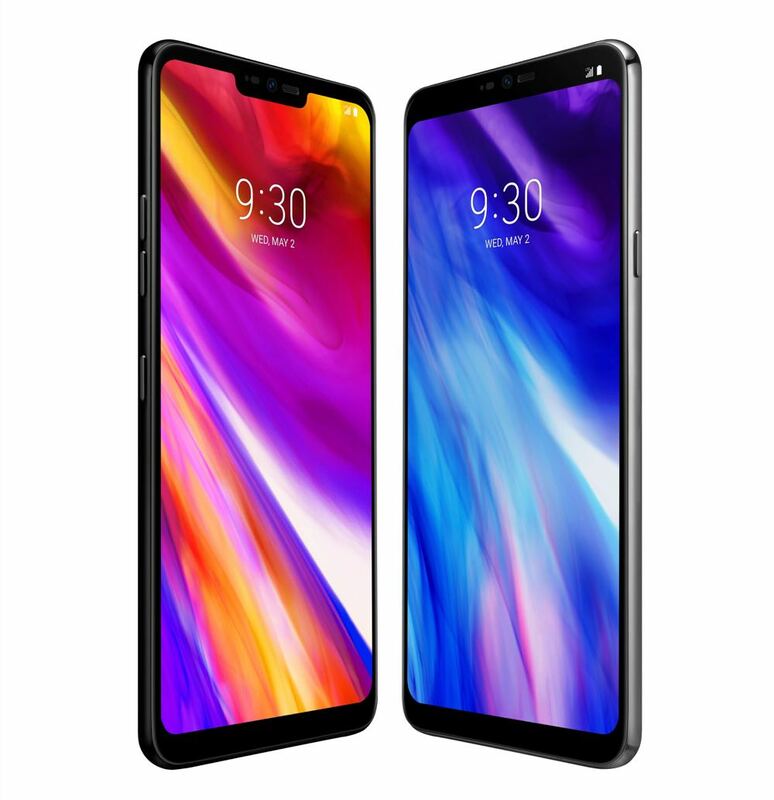 The G7 ThinQ can not only match the features of rival flag ship devices but also offer features the others simply don’t have. The device is running the Android 8.0 Oreo operating system and also has an IP68 rating so it can handle being underwater for 30 minutes at a depth of up to 1.5m. 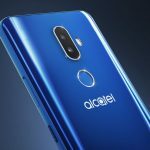 It is powered by the Qualcomm Snapdragon 845 processor with 4GB RAM and 64GB of internal memory which is expandable through its microSD card slot. 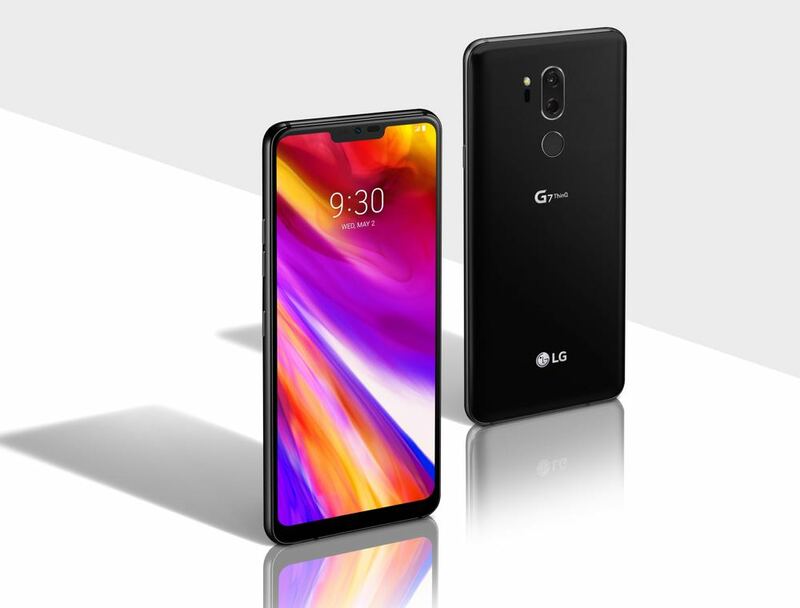 The LG G7 ThinQ is a smart-looking device with subtle rounded edges corners and a thickness of just 7.9mm. It has a dedicated Google Assistant hot key on the left edge and speakers top and bottom (you’ll hear more about those later). On the rear panel is a 16-megapixal dual lens camera and a fingerprint reader. In the hand the phone has a good feel and, thanks to the 18.9 display and thin bezels, doesn’t feel too big. 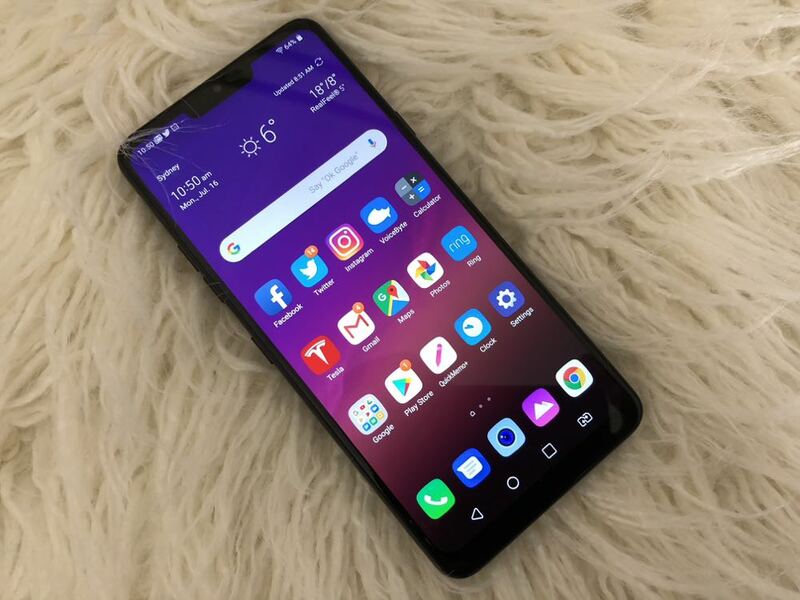 The LG G7 ThinQ has a crisp 6.1-inch Super Bright QHD+ FullVision display with a resolution of 3120 x 1440. It’s one of the nicest screens you’ll see on a smartphone. And it’s called a Super Bright display because it’s, well, super bright with an industry-leading 1,000 nit brightness. So even in the glare of the midday sun, this screen is as clear as it is in a dark room. 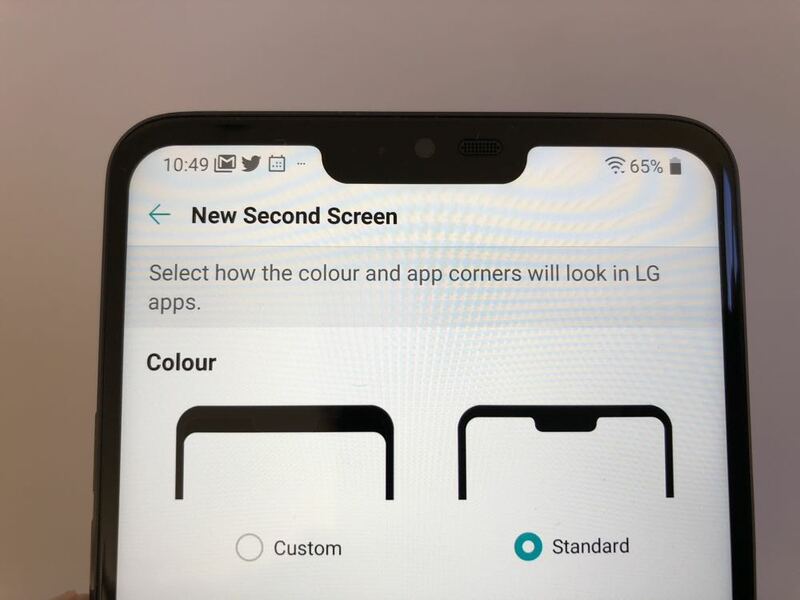 And yes, there is a notch but users have the option of squaring off the top of the screen in the settings. 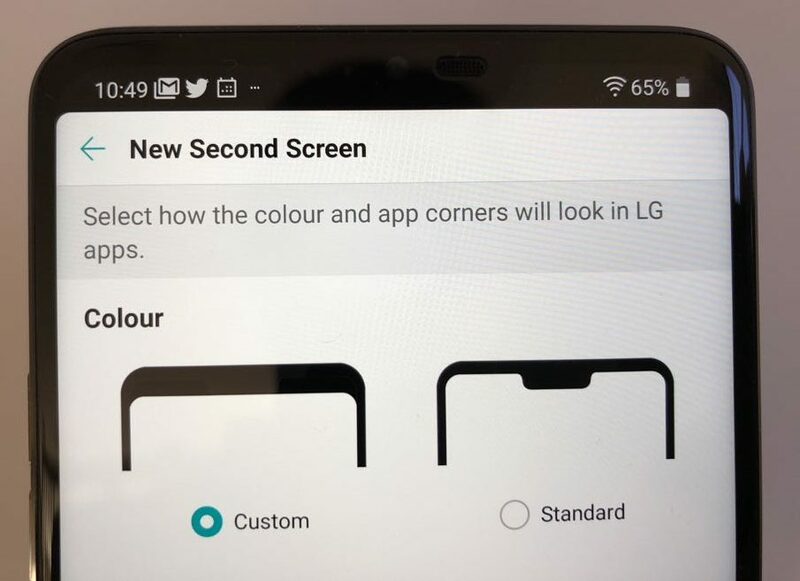 We didn’t mind the notch so we decided to keep it. Most of the apps work nicely with the notch and those that don’t are just squared off at the top of the display. The camera is one of the main attractions for any smartphone purchase and the LG G7 ThinQ does not disappoint. The 16-megapixel rear dual camera ticks all the boxes when it comes to lowlight photography and also has a smart portrait mode. 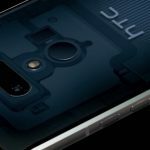 Also included is LG’s signature wide-angle camera with the ability to switch back to a closer shot and vice versa at the press of a button. But not only is the camera better quality, it’s also a lot smarter as well. It has built-in AI which works in real time to recognise what you’re shooting whether it’s a landscape, of building, a person or an animal and adjust the settings and mode accordingly to help you capture the best possible image. For our testing, we used the LG G7 on Sydney Harbour and it recognised both the Harbour Bridge and the Sydney Opera House as landmarks before instantly creating the optimal mode to photograph them. And the results were spectacular. The LG G7 ThinQ camera holds its own against other flagship smartphones. The front camera has an eight megapixel resolution and the AI also comes into play to make yourself these and group shots as good as they can be in the conditions. 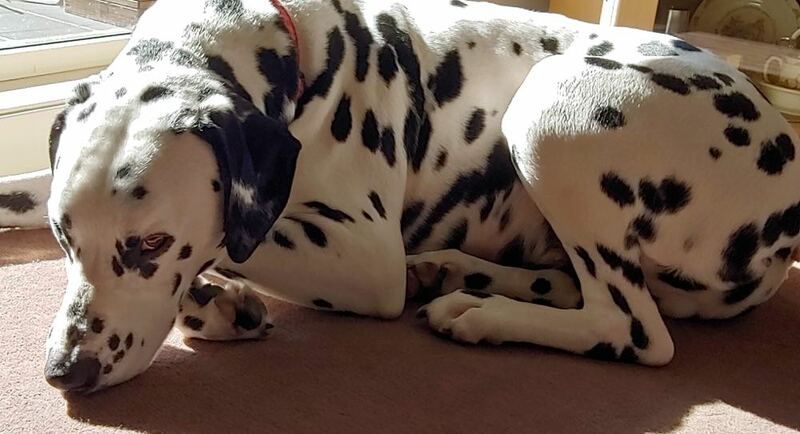 Is also supported by AI and computer vision and can provide information about whatever you’re looking out through the lens including landmarks, plants, animals, books and other objects. Google Lens can also do things like adding a business card to your contacts, adding an event to your calendar and looking up an item on the menu all through the camera lens. If you’re an audio fan then you’ll be a fan of the LG G7 ThinQ which offers an excellent experience across the board. The device has Boombox Speakers which uses the internal space of the device as a resonance chamber to provide impressive bass. And that’s on its own – no external speaker required. We listened to plenty of music through the G7’s speakers and was impressed with the quality and the volume. And it sounded even better when it was resting on a surface like a desk or on a box which it also used to pump up the bass. The excellent audio quality can also be heard through your earphones. 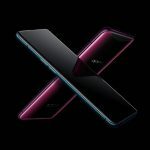 The LG G7 ThinQ is the first smartphone to offer DTS:X which means you can hear virtual 3D sound for all your content. That’s up to 7.1 channel audio through your earphones. And if you’ve purchase a more expensive pair of headphones or earphones with high-impedance, the G7 also has Hi-Fi Quad DAC onboard to offer superior audio quality. 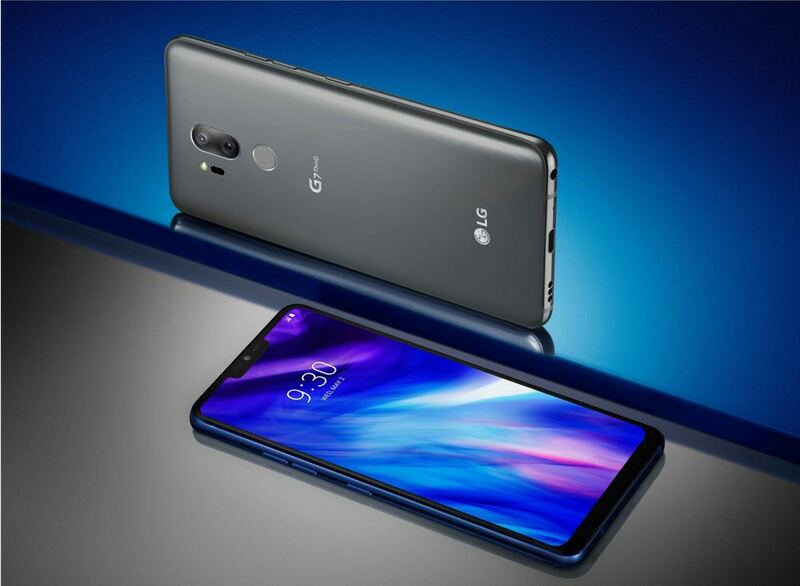 The LG G7 ThinQ has a built-in microphone, similar to that found on smart speakers, which can recognise a voice commands from up to 5m away even while music is playing. SFFVR can separate your voice from the background noise so it’s like having a smart speaker in your pocket. Onboard the LG G7 ThinQ is a 3,000mAh battery which was easily enough to get us through the day. Even after a full day’s use, there was still about 20 per cent left in the tank which was okay but really heavy users might struggle. LG was one of the first companies to relocate the home button on the rear of their smartphones. 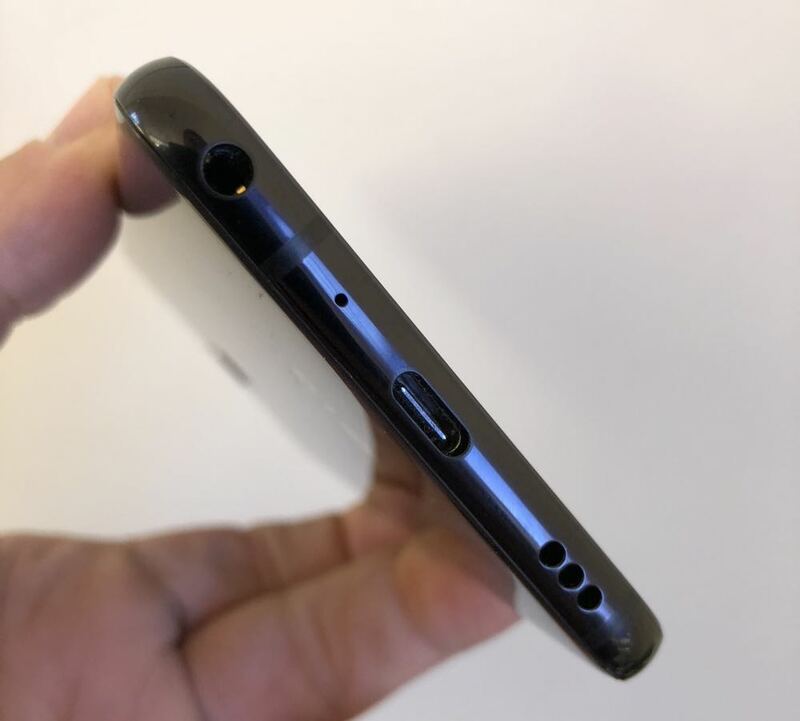 Previously this home button incorporated the fingerprint reader. With the G7, we get the fingerprint reader but you can’t click it to go home. For that you need to press the virtual home button on the screen. Having the home button incorporated with the fingerprint reader would have added a little more convenience. The LG G7 ThinQ is priced at $1,099 which puts it in premium territory. We understand that phones of this quality, even from other brands, are priced in a similar way. And LG would want to think their device stacks up to the competition – and it does. But here’s the rub. Customers who spend more than $1,000 on a device are more likely to buy a Samsung phone or an iPhone. We’ve always said companies competing at that level are more than likely to come off second best – or third best. But if the price is below $1000 that’s a whole new ballgame where you’re competing against companies you have a better chance of beating. 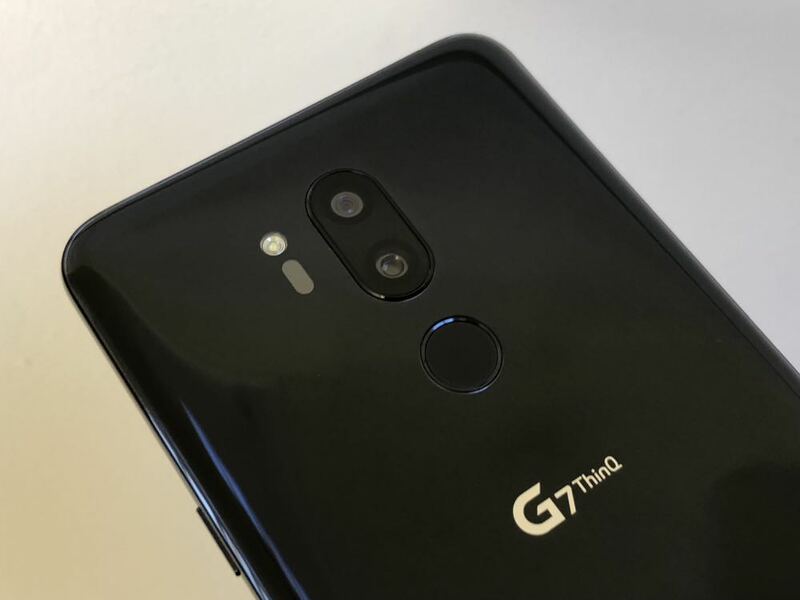 We think the G7 is as good as any other premium smartphone but unfortunately LG doesn’t have the brand power in the smartphone category at this time to draw customers away from Apple and Samsung. If it was priced below $1000 it would have a better chance. 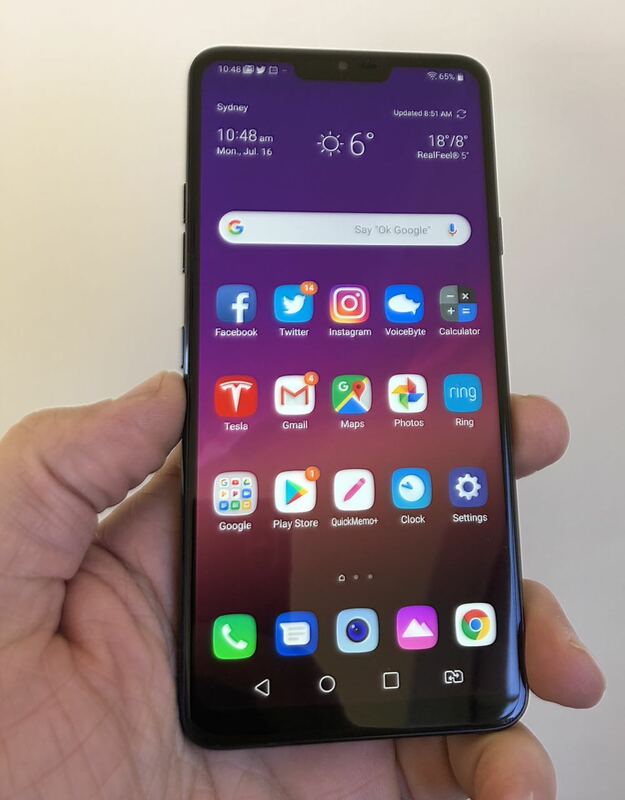 The LG G7 ThinQ is a capable smartphone that can match the other premium devices on the market with a range of excellent features along with a few others you won’t find on any other device. If you are in the market for a flagship device, the LG G7 ThinQ truly deserves your consideration.